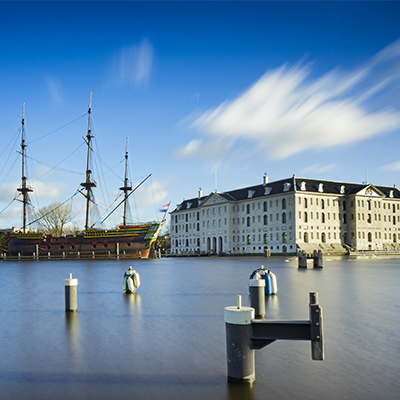 This year’s gala event takes place in the enchanting courtyard of the Maritime Museum of Amsterdam. Famed as one of finest gala venues of Amsterdam, and renovated to its current splendour in 2011, the museum’s famous glass ceiling design will illuminate your evening with breath-taking horizon of stars. After a welcoming refreshment, you can network over a high quality dinner with entertainment from local artists. Transportation from the RAI will be offered, with shuttle buses departing at 18:30 sharp from Entrance K. The return journey after the evening must be organised individually. Tickets can only be bought in combination with an exhibitor or conference pass.